Let me start by asking you one question… How often do you stop and take time for yourself, to just be? We live in such a fast paced society that feeds off of what’s next or what happened – rather than now. What if we could let that go? Why are we so afraid to? Stillness is a state of complete awareness. It is a place to reconnect with the knowledge and truth of your own spirit. Stillness allows you to search for the answers and it’s a place of calmness and certainty. Recognize the signs working against stillness. The traditional obstacles to stillness (anxiety, stress, guilt, anger…) are warning signs that your mind and body are not in alignment. When you mind is at unrest; so is your body. Pay attention to the nights when your sleep is interrupted; the days you are irritable and the times you fall into a rut and can’t seem to pull yourself out. All of these are signs pointing to the need for finding stillness. Over the last few years and being consistent with my yoga practice – I have seen the positive effects and how it is slowly dissolving the need to always be somewhere else. It takes time and believe me I am still working on it! I guess why I am writing this post is to try and reach out and share this simple yet so difficult concept that allows us to enjoy life a little more. Okay, maybe I don’t understand “it’s hard when you have kids” or “I am also so busy” stop the excuses! This is where it takes commitment and some action on your part – maybe wake up earlier in the morning if thats what will allow you to create that space. Seriously – I promise you even 5 minutes a day to just be. Yes, it will be hard at the beginning… you will sit down and your mind will be going over your “to-do” list of the day – try to let that go. It’s 5 minutes that’s it – don’t you deserve that? It saddens me to see that it takes a disease or a tragedy for some people to stop and realize – “this is real” – “Life IS real!”. Instead of fast-forwarding to what’s next – stop and appreciate what you have right now! Recognize that it is all part of what has and is getting you to where you want to go. Or if your mind travels to the past – see it as an opportunity for growth. Often when we think of the past it is more likely something negative that we are still holding onto. Holding on to, yet ignoring. 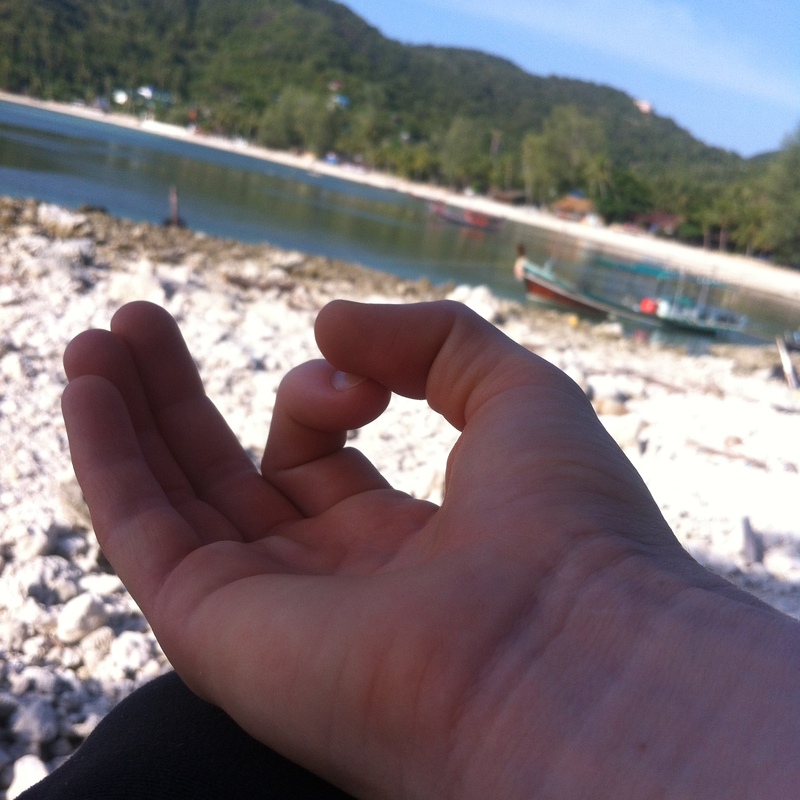 Hold it in the palm or your hands – observe it, see how it makes you feel, why it makes you feel this way. Take a positive reinforcement from it then let it go. I have an older post “WHO AM I” that helps you understand why you should let things go. Doing nothing might feel uncomfortable because your habit is the opposite. Staying connected is the new expectation. But to find stillness, complete and dead quiet is needed. it’s time to turn off you phone and power down your computer. Practice sitting and doing nothing. Allow thoughts to come to you without pushing them away. Sit with your feelings, memories and daydreams. Take-in the dead quiet and then listen for the truths it will be whispering. These truths will be things that will touch you deeply because they will feel natural and right. If your day is so busy that you just can’t find the time to be alone and to have stillness and silence, getting up a bit earlier can be a good solution for some people. Sometimes households can be a bit noisy and chaotic. So get out into nature as much as possible. Find a park, or a trail in the woods. Water is one of my favorite ways of connect with nature so I escape to the beach, lake or stream. Instead of blocking out everything and everyone that may come across your path – simply stay quiet and observe it. Okay I will admit when I first started meditating I was always “trying” to meditate – my words of advice – stop “trying”! It doesn’t have to be complicated or difficult. Try this very simple meditation: close your eyes (after reading the rest of this paragraph) and pay attention to your breathing. Notice your breath as it enters your body, and again as it goes out. Your mind will probably stray — that’s OK. Just pay attention to these thoughts, let them go without forcing them out, and gently return your attention to your breathing. Keep doing this for a minute or so. Gradually increase the time you do this as you practice. It’s nice to get into a comfortable position, but not so comfortable you fall asleep! It can be anything: running, walking, biking, swimming, strength training, rowing. This exertion of energy helps release stress and gets the blood flowing to your brain — giving you some of the best thinking you’ll do all day. I love jumping on my bike and being in my own element – alone on the road just me and my bike, breath and thoughts. I find this is usually the time when the inner battle starts to come to surface. And well I only have myself there to work through it. I find it so rewarding when you can dig yourself out of those ruts on your own. You just have to accept and observe what may come up – don’t judge yourself. 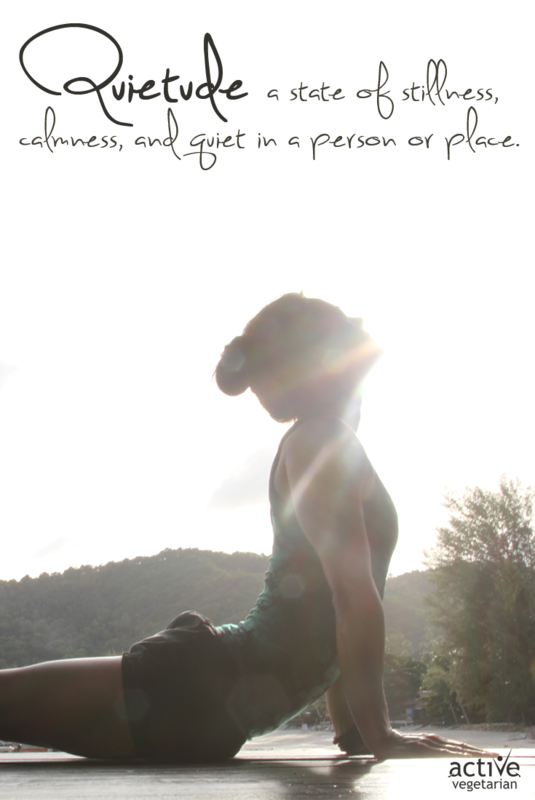 As I expressed in this post – yoga is a great way to learn to develop that stillness within yourself. We are pretty much forced to be with our own thoughts, body and breath for at least 60 mins. Even if it is only once a week you can do it – do it! I love curling up with a good book and losing myself in it. But be aware if you are using it primarily as a distraction from being alone with just your thoughts. Sometimes I catch myself trying to read and my mind is every other place other than the book. If this sounds like you – SET THE BOOK DOWN! and be with your thoughts. Why continue to distract yourself and fill your mind with something else? Okay so I think those are a good way to start… choose one that works for you. Understand that it may not always be the same method to find that stillness, that’s the beauty of it. Take advantage of the early mornings or late evenings when they’re sleeping; exchange quiet times with your significant other so that one watches the kids while the other relaxes or exercises; trade kid-watching duty with a friend or relative; pay a babysitter for a short time each day; or find activities for your kids to do while you get your quiet time. I hope this post will inspire you to find that time for yourself because after all you deserve it!